On July 30, 2015, the Senate Energy and Natural Resources Committee reported out the bipartisan energy bill entitled The Energy Policy Modernization Act of 2015. Key provisions of the bill focus on energy efficiency, modernization of energy infrastructure, increasing renewable and traditional energy supply resources, accountability reforms, and conservation. As originally proposed, the bill contained a significant number of provisions designed to improve federal licensing of non-federal hydropower. During mark-up of the bill, Ranking Member Maria Cantwell (D-WA) offered an amendment to strike changes to agency mandatory conditioning authority under sections 4(e) and 18 of the Federal Power Act (FPA), but committed along with Chair Lisa Murkowski (R-AK) to continue discussions on resolving problems with these sections. As reported out of committee on July 30, the bill still retains a number of hydro provisions. Among them are provisions to designate the Federal Energy Regulatory Commission (FERC) as lead agency for coordinating federal authorizations from all agencies needed to develop a project, and to authorize FERC to refer agency disputes to the Council on Environmental Quality. The bill also requires resource agencies to give equal consideration to developmental and non-developmental values when imposing all mandatory conditions or prescriptions, and not just when evaluating alternative conditions proposed by licensing participants. The bill expands the definition of renewable energy for federal programs to include all forms of hydropower, and extends the terms of preliminary permits and permit extensions. The bill also extends the start of construction date for hydro projects from 2 to 8 years. The bill establishes a voluntary pilot program in which FERC and federal and state resource agencies would conduct basin-wide studies to inform future relicensing of projects in the basin. Licensees participating in the voluntary program would be eligible for a license extension of up to 8 years. In addition, the Energy Policy Modernization Act of 2015 also proposes to extend the eligibility window for the hydropower production incentives under the Energy Policy Act of 2005 (EPAct 2005). Under this program, the Department of Energy is authorized to make incentive payments to owners or operators of qualified hydroelectric facilities based on the number of kilowatt hours of hydroelectric energy generated by the facility during the incentive period. Currently, the incentives only apply to projects that added a turbine or other generating device at an existing dam or conduit between 2005 and 2015. Section 3002 of the Energy Policy Modernization Act of 2015 proposes to extend the eligibility window to projects that add a turbine or other generating device between 2016 and 2025. The Energy Policy Modernization Act of 2015 also includes provisions to benefit marine and hydrokinetic research and development. The bill expands the marine and hydrokinetic renewable energy research and development program established under the Energy Independence and Security Act of 2007 (EISA 2007) to include current, tidal, wave, and thermal technologies, and adds FERC as a consulted agency for the program. The bill authorizes the National Marine Renewable Energy Research, Development, and Demonstration Centers established under EISA 2007 to participate in demonstration projects, support in-water testing, support arrays of technology devices, and serve as information clearinghouses for marine and hydrokinetic technology. The bill also authorizes appropriations for marine hydrokinetic research through fiscal year 2021. On July 21, the Senate Finance Committee voted by a wide margin to extend by two years the production tax credit (PTC) and the election to take the investment tax credit (ITC) for hydropower and marine energy facilities for qualifying facilities on which construction begins before January 1, 2017. The vote was 23 to 3. The credits expired at the end of 2014. The PTC and ITC extensions are part of a tax extenders package that now awaits action by the full Senate. They will also need to be passed by the House Ways and Means Committee and the full House of Representatives and signed by the President before becoming law. The timing of action on tax extenders in the House is uncertain. As reported in the January 2015 newsletter, the PTC and ITC were originally included in the EPAct of 2005 (effective beginning in 2006). Marine and hydrokinetic projects became eligible for the programs in 2008. The hydropower PTC and ITC previously expired at the end of 2013, but were extended retroactively through the end of December 2014 by the Tax Increase Prevention Act, which was passed by large majorities of the House and Senate. As reported in the April 2015 newsletter, the Treasury Department updated its guidance regarding the beginning of construction in Notice 2015-25, issued in March 2015. 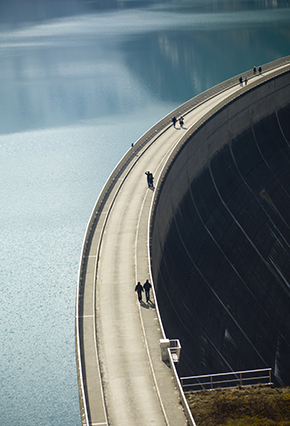 On July 2, 2015, FERC issued an order granting an appeal filed by Van Ness Feldman on behalf of a group of hydropower licensees of their 2013 administrative annual charges bills. Section 10(e) of the FPA authorizes FERC to collect “reasonable” annual charges from hydropower licensees to reimburse the United States for the costs for administration of Part I of the FPA. In their appeal, the licensees argued that the National Marine Fisheries Services’ (NMFS) costs were unreasonable and should not be accepted for several reasons. First, three of the NMFS regions failed to segregate their costs for municipal and non-municipal FPA Part I administrative costs under the Commission’s requirements. FERC granted licensees’ appeal on this issue, finding that costs from these offices cannot be assessed on the licensees under section 10(e). Second, licensees argued that FERC should deny costs submitted by NMFS offices that fail to provide supporting documentation upon request. Under FERC’s requirements, an agency must submit with its cost report a certification from the agency’s Chief Financial Officer that the costs are accurate and that documents to support the costs are available for review. Licensees submitted a request for NMFS’s back-up documentation, and certain NMFS offices failed to provide any additional back-up documentation to support their costs. FERC granted licensees’ appeal on this issue, finding that costs from these offices cannot be assessed on the licensees under section 10(e). FERC issued credits to the licensees’ accounts for their proportionate share of the NMFS costs rejected under the appeal. On July 23, 2015, FERC issued its 2015 annual charges bills to licensees, who have until September 6, 2015 to remit payment. Licensees who believe their annual charges bill contains an error may appeal their bill, but must still pay under protest by FERC’s deadline. In late June, FERC issued 50-year, original licenses to the Public Utility District No. 1 of Snohomish County, Washington for two new projects in King County, Washington: Hancock Creek and Calligan Creek. The District pursued each of the 6 MW, run-of-the-river projects as part of its Integrated Resources Plan, a long-term strategy for developing renewable energy resources to meet future energy loads. Rather than a traditional dam with reservoir storage, each project will divert water through a pipe to a generating turbine and back to the creek. Van Ness Feldman assisted the District in obtaining the new licenses.